Barometric pressure sensors measure fluctuations in the pressure exerted by the atmosphere. The sensors require protection from condensing humidity, precipitation, and water ingress. 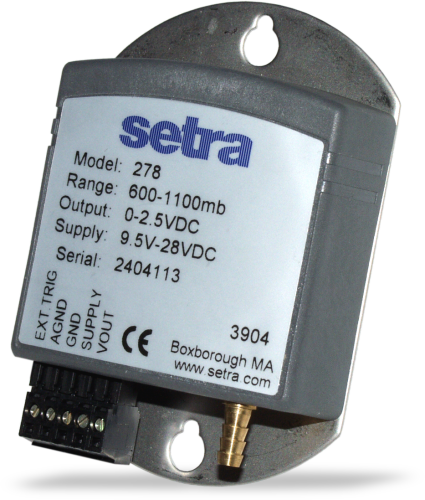 They are typically housed with the data logger inside an environmental enclosure. If the enclosure is airtight, the sensor's pressure port must be vented to the atmosphere. Accuracy refers to the root sum squared (RSS) of end point non-linearity, hysteresis, repeatability, and calibration uncertainty.